We welcome August this week and soon the deep summer crops will be here....potatoes, tomatoes, peppers and more! Enjoy the fresh green beans and more sweet corn this week. Summer flavors at its best! Green Beans - More freshly harvest green beans are making it into the shares this week. For best flavor, steam them gently (2-3 minutes) until bring green but still a bit crunchy and serve with butter or olive oil and salt to taste. Storage: In the refrigerator. Uses: Cooked When to use: Within 3 days. 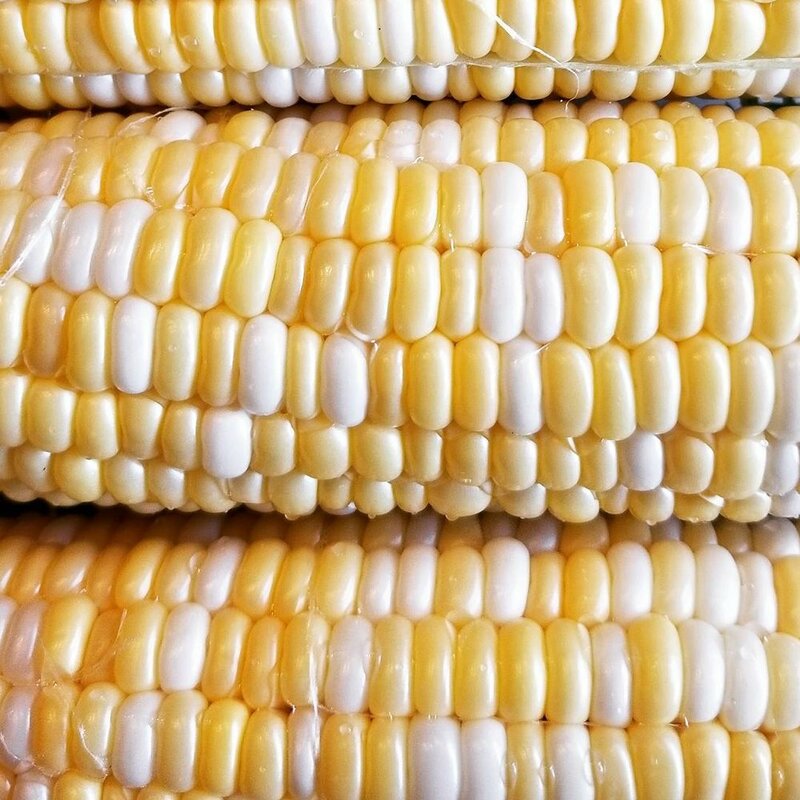 Sweet Corn - Don't overcook this fresh corn. It cooks up quickly! If you find an inch of earworm damage at the tip, that's normal. If you find any more damage, please let us know and we'll get you a replacement ear. Swiss chard - Swiss chard is one of the few cooking greens that grows well in the summer. Try this week's recipe with Italian spices and chickpeas. Storage: In airtight storage in the refrigerator. Separate the roots from the greens before storing. Uses: Cooked When to use: Within 5 days. Green Romaine Lettuce - Romaine loves the summer heat! Parsley - If you think about parsley as a green, not just an herb, a whole new world will open up! Parsley pesto is delicious, a is parsley in salads, soups, or just frozen and used to brighten up recipes in the winter months. I wash the leaves and freeze it whole (no prep) in a glass container. I pull some out, chop it up and add it to soups whenever I need it. Cippllini Onions OR Walla Walla Onions - These are two fresh-eating onions that are currently in rotation. The cipollini onions are small, the Walla Walla onions are large - both make wonderful roasted onion dishes or caramelized onions.